Savolainen Osakunta at the University of Helsinki originates from Savo County and unites the students with Savo roots. It was founded on October 1, when the Savo-Karjala Nation was divided into two. Agreement-wise, the anniversary of Savo Nation is celebrated on February 20 to celebrate Finnish being recognised as an official language. The flag as well as the coat of arms of Savo Nation expresses their connection with their domicile: the colours of the flag come from the flag of the Savo regiment, the coat of arms is similar to that of Savo County – both depict a bow and an arrow pointed to the right. The characteristic colours of Savo County – yellow and black – are also on the colour band of Savo Nation. In the beginning, the activity of Savo Nation was mostly connected with so-called proper Finnishness and patriotic ideas. Later the application to proper Finnishness was dropped, which can be confirmed by signing friendship agreements with Värmlands Nation at the University of Uppsala and Wermlands Nation at the University of Lund. 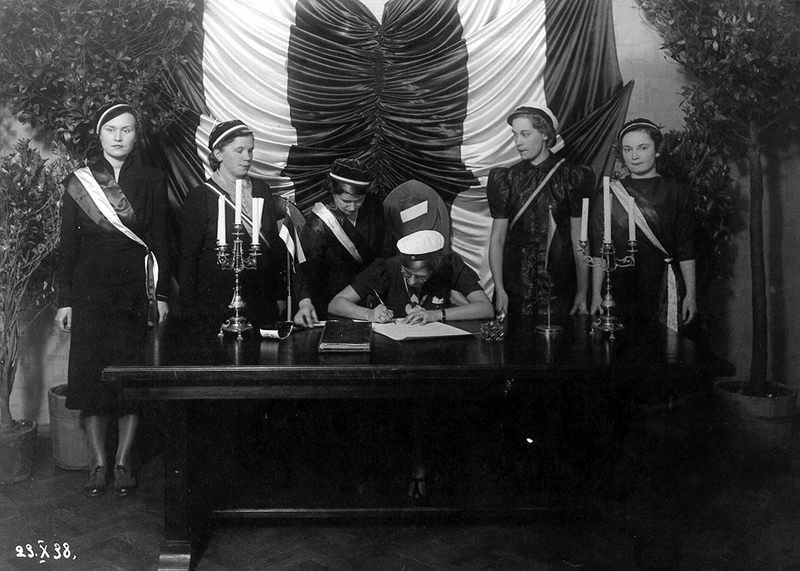 In 1930, friendly relationships were established with Tartu – a friendship agreement was signed with korp! Fraternitas Estica in February and with korp! Indla in October. In 1932, the Savo Nation Choir was founded (Savolaisen Osakunnan Laulajat or SOL). Since 1952, the Tervahöyry trip is organised on Finnish lakes in summer, which is popular with the members of Savolainen Osakunta, korp! Fraternitas Estica and korp! Indla. After World War II, the magazine Susj was started. Friendly relationships with Tartu were restored in 1989. The meetings in Savo Nation take place once a month and every week there are club nights with different themes. 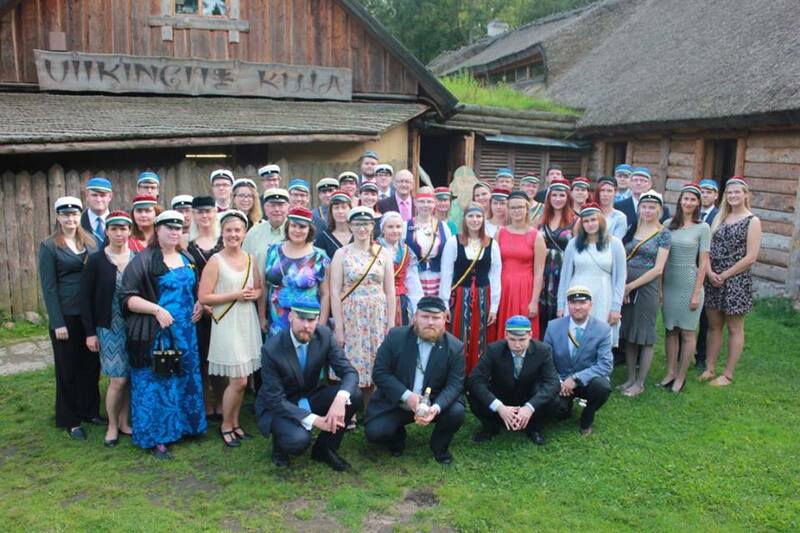 Gatherings with good food, drinks and much singing take place a couple of times a month, for example when new fuchses are admitted or officials elected and of course – once a year to celebrate the drinking horn that is more than 125 years old of Savo and Karjala Nations both. Korp! 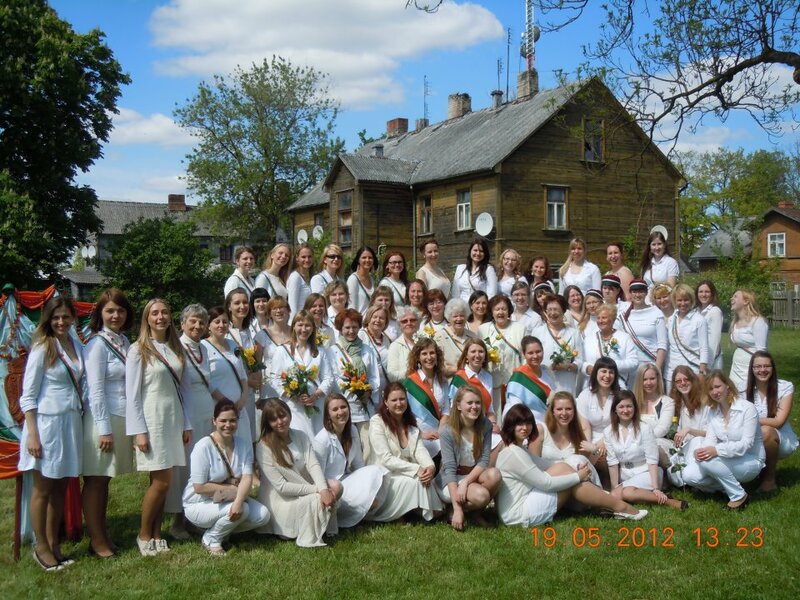 Dzintra was founded on May 20, 1924 in Riga, uniting women who live in the spirit of loyalty, truth, friendship, honesty and love for their homeland under the colours of orange, green and light-blue. Orange, the colour of amber, symbolises the nationalistic spirit, love for their homeland and nation; green represents hope and belief; light-blue is the colour of beauty, good spirits and femininity. The motto of korp! Dzintra is Fidei et veritati (‘in faith and truth’). 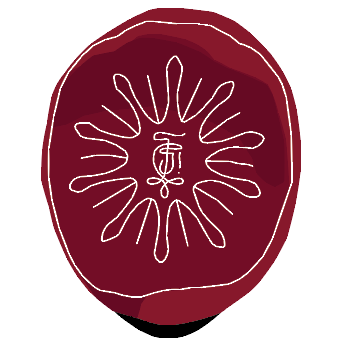 Already at the times of founding, the members of korp! Dzintra took actively part in transforming the academic student life in Latvia. For example, korp! 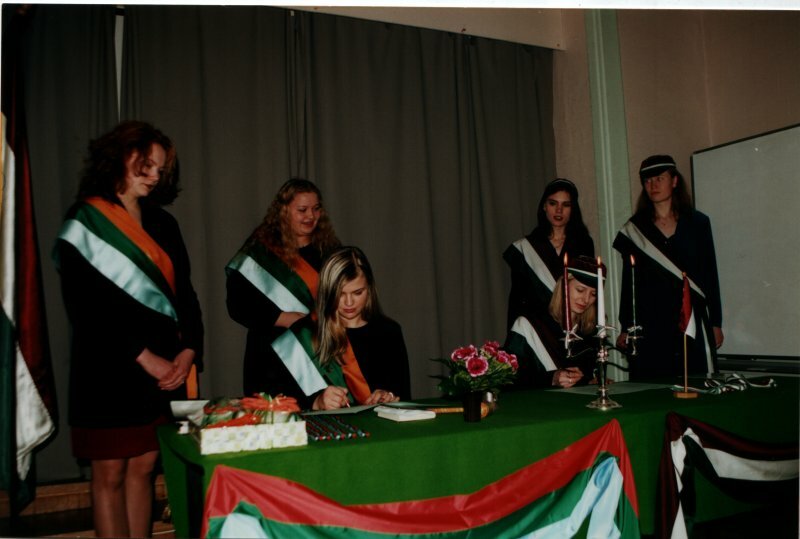 Dzintra was one of the first three sororities who founded the Union of Latvian Sororities (S!P!K!) in 1925. Also, after its re-establishment on October 12, 1989 korp! Dzintra is beaming and energetic, as it was one of the creators of the tradition to hold a Valentine’s Day ball and the initiator of the first sports days for academic organisations. Every spring, korp! Dzintra hold a spring ball in one of Latvia’s castles or manors, thus introducing the history and beautiful locations of its country. The cartel-agreement with korp! Indla was signed on March 11, 2000.